In the photos below you can see our Russian bride Kate that got married with an Italian man in the beautiful and green Terni (Umbria) on the 30th of April 2016. Her wedding dress was very romantic and beautiful, so after the trial we decided for this very soft and curly updo decorated with fresh flowers, that suited beautifully the style of the dress. Her make up was in neutral shades, with pinkish accents to accentuate her wonderful green eyes. 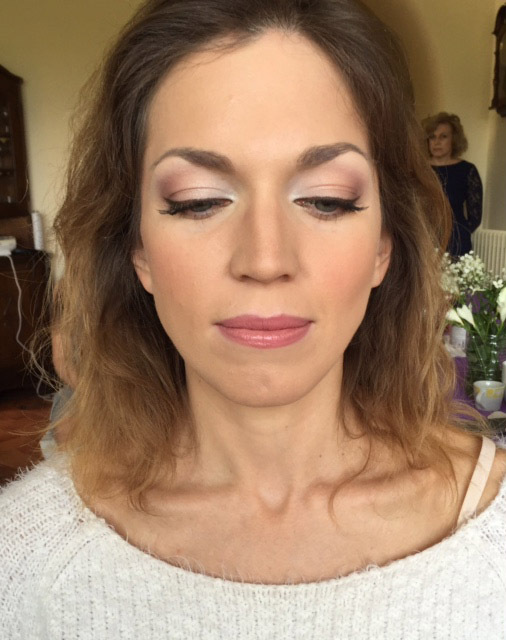 The foundation was matte but radiant and to complete her base defining volumes and shades I did a soft contouring.